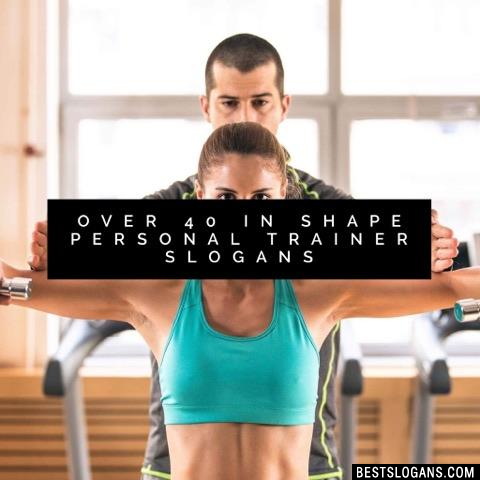 41 new entries added to personal trainer slogans, that include pictures. 1. Get Fit. Get Strong. 1 Get Fit. Get Strong. 5 Spirit is ten times stronger than muscle. 6 Training is useless without a purpose. 7 Just because you're trained doesn't mean you're ready. 8 Your school of healthy living. 9 Your body. Your life. 11 We are very serious about our profession. 13 Transofrm your mind, body, and life. 14 Transforming lives one body at a time. 15 Train at the Speed of Life. 16 Those who demand the best. 17 This is more than a gym. 18 The master of body transformation. 19 The healthy way of life. Can you think of a good Personal Trainer Slogans we're missing? Or come up with a clever one of your own. Please share below.